Ubisoft used its E3 press conference to focus on end-game content. One of the biggest criticisms levied against Destiny 2 right now is its lack of raids. Ubisoft knows this, which is why it proudly announced today that The Division 2 will have eight-player raids next year. What's more, all the game's year one expansions, which will be broken down into three separate chapters, won't cost players a cent. Destiny and The Division, of course, are two separate franchises with different worlds and gameplay loops. But they're both competing in the same lucrative and highly competitive 'games as a service' market. Ubisoft, clearly, is hoping to pull some disillusioned players away from Bungie's sci-fi shooter in 2019. What form those raids will take, though, is unclear. Destiny's offerings are highly sophisticated, multi-stage affairs that require precision shooting and team play to complete. 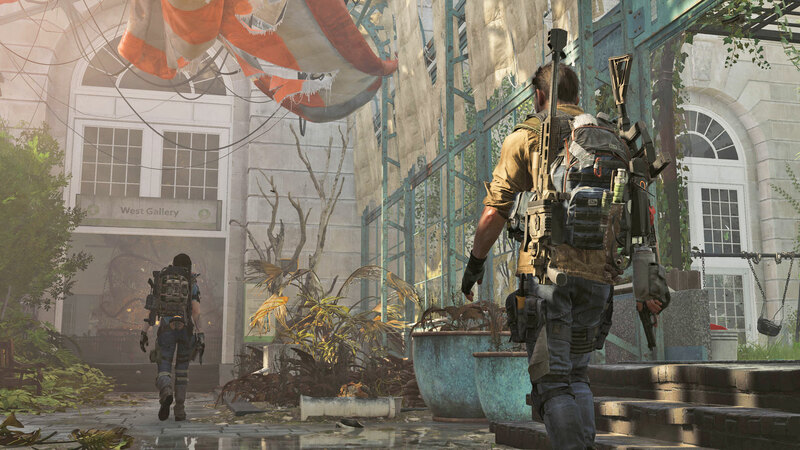 Matching, or surpassing that level of quality will be no easy task for The Division 2 developer Massive Entertainment. During its E3 press conference, Ubisoft also detailed three character classes, or specializations, that will be available at the end of the core campaign. These are called sharpshooter, demolitionist, and survivalist. They come with different signature weapons -- a crossbow, grenade launcher or sniper rifle -- and will gradually grant you unique tools and abilities, including "exclusive" versions of skills. If you're not interested in the end-game content, though, fear not: Ubisoft also showed a new cinematic trailer today that details its apocalyptic take on Washington, DC. The game, if you need a reminder, will be out on March 15th, 2019.